What Will Your New Home Look Like? Tackling a home remodeling project can be intimidating. You'll have to choose from an array of material and design options. Fortunately, you don't have to handle your remodel by yourself. Just turn to Kitchen Central. Kitchen Central is a full-service remodeling contractor based in Austin, TX. We specialize in kitchen and bathroom remodeling. We'll help you choose materials and styles that will breathe new life into your home's most often-used spaces. We invite you to visit our showroom to get an idea of how different materials will look in your home. Design a beautiful bathroom or kitchen that will add style and functionality to your home. You can count on us to bring your plans to life. Call now to get started. Rely on our full-service kitchen remodeling services to create the kitchen of your dreams. Turn your bathroom into a refuge for relaxation and luxury. Install cabinets that tie together the look of your kitchen or bathroom. 1. Install stone countertops in your kitchen to create a more sophisticated look. 2. Create a warm and cozy atmosphere with a fireplace installation in your bathroom. 3. Add unique and colorful tile flooring to your bathroom. Our custom remodeling work will leave you speechless. Get in touch with us right away to go over options that will fit your style and budget. There's no need to hire several different remodeling contractors to complete your home improvement project. Kitchen Central can do it all. We can install countertops and backsplashes, and we also take care of electrical and plumbing work. 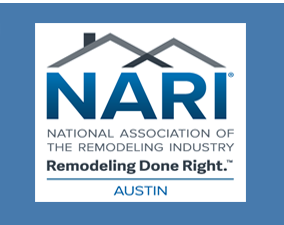 Call us now at 512-277-2121 to arrange for your free consultation with our home improvement services. Copyright © 2019 Kitchen Central, all rights reserved.